It had been a while since I had been to One-Eyed Jacks, but I used to go fairly frequently. I was reacquainted with this restaurant about two weeks ago and I started to kick myself for ever taking it off my regular rotation. One-Eyed Jacks has been in the Lockport area for a long time, and only one visit there will tell you why it has remained popular all of these years. One-Eyed Jacks has one of the most elaborate and welcoming decors in all of Lockport. I love the fireplace, and I enjoy the design of the dining room. Even the entrance as you walk in is inviting and unique. I think what makes the ambiance at One-Eyed Jacks work is that it is a perfect mix of the Old West and casual Lockport. I am not even sure what that means, but that is the feeling I get when I walk through the doors. I have been to One-Eyed Jacks when every table was filled and when we were the only people in the place, and the service is the same no matter what. The servers are always quick and attentive, and they are always friendly to talk to. It is kind of unusual to find a place where every server is pleasant, but One-Eyed Jacks is definitely a place where you feel welcome. I have had everything from their BBQ to burgers at this place and I have never been disappointed. As a food enthusiast, I am always interested in what other people around me are having and everything at One-Eyed Jacks looks as good as it tastes. They make their own BBQ sauce, and it is definitely something worth trying. It is one of the best sauces in the area, but it doesn't quite grab the mantle as the best. But after all of these years of success, it is obvious they are doing something right. The side dishes at One-Eyed Jacks are also amazing (are they handmade? ), and they definitely add to the meal. If there is one area where One-Eyed Jacks excels aside from BBQ, it is with side dishes that are hard to stop eating. The portions are so big that I have honestly never had room for dessert, so I am not going to even try to talk about that. The prices are reasonable, the ambiance is inviting, and the food is amazing. For a lunch or dinner out, it is very hard to beat One-Eyed Jacks. 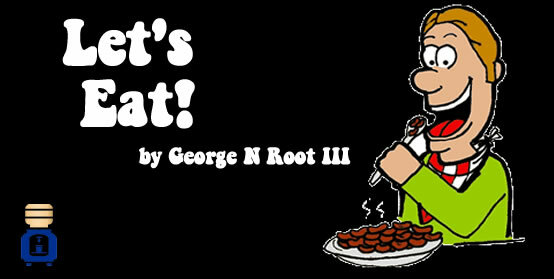 George N Root III loves food. Follow him on Twitter @georgenroot3, or send him a message at georgenroot3@gmail.com.